The Oystercatchers are in a family of their own (Haemotopodidae). 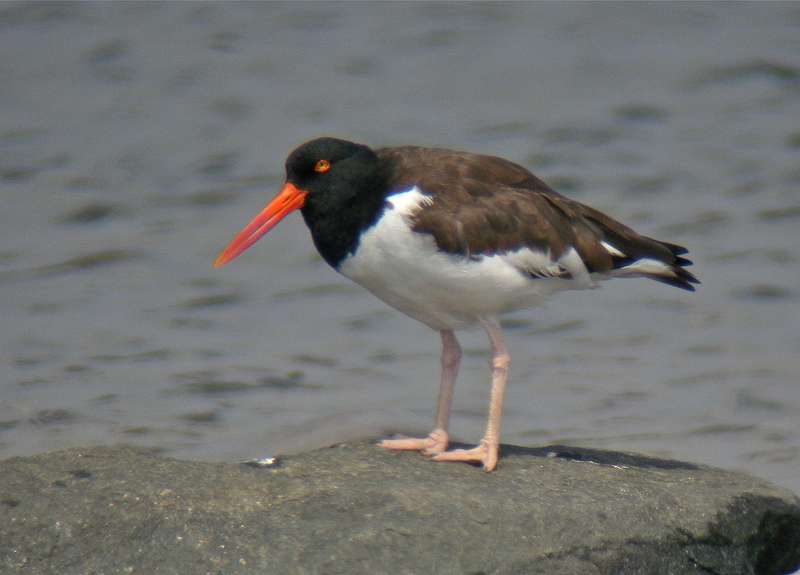 The American Oystercatcher is seen on the East Coast, Gulf Coast and in Mexico, with some sightings in Southern California. Note the pink legs, and the tomato red bill.